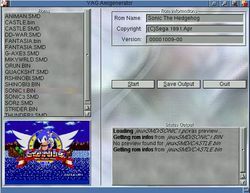 YAG Genesis was made some years ago on my Amiga 4000 PPC. I used StormC 3 to compile it (the stormC project file is included in the source archive). Below is the description from the Aminet readme file.